Kick off the weekend right with GLOW on Friday and Saturday nights! Ages 6 and above only. Lasers, music & black lights transform Friday & Saturday nights into one crazy jumping dance club party! 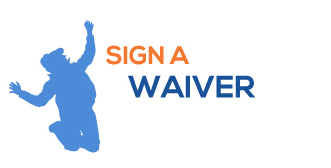 In order to prepare yourself for GLOW, a Sky Zone Waiver is REQUIRED for every guest jumping and entering the building during GLOW. ***PLEASE NOTE*** There is no flipping allowed during any GLOW session. GLOW or WHITE T-Shirt must be worn in order to jump. It can be purchased and re-used for other GLOW nights. Sky Socks also mandatory and can be bought for $3.50/pair. They can be re-used as long as they are in good condition, grips intact. 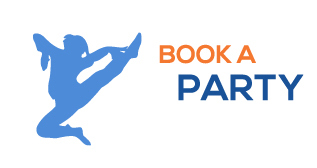 On-Line tickets purchased for Sky Zone Mississauga are ONLY valid at Sky Zone Mississauga. Sky Zone monitors reserve the right to separate participants by age/size for safety.